Right, so I lied about the lentils. We had lentils last night you see, and I wanted to jazz things up a bit. So tonight, Fialonia and I tried the tofu ball recipe from one of my favourite vegan cookbooks, “La Dolce Vegan!” (I should note that Fialonia is, in fact, an omnivore but she has agreed to join me in the vegan awesomeness by testing out recipes with me). 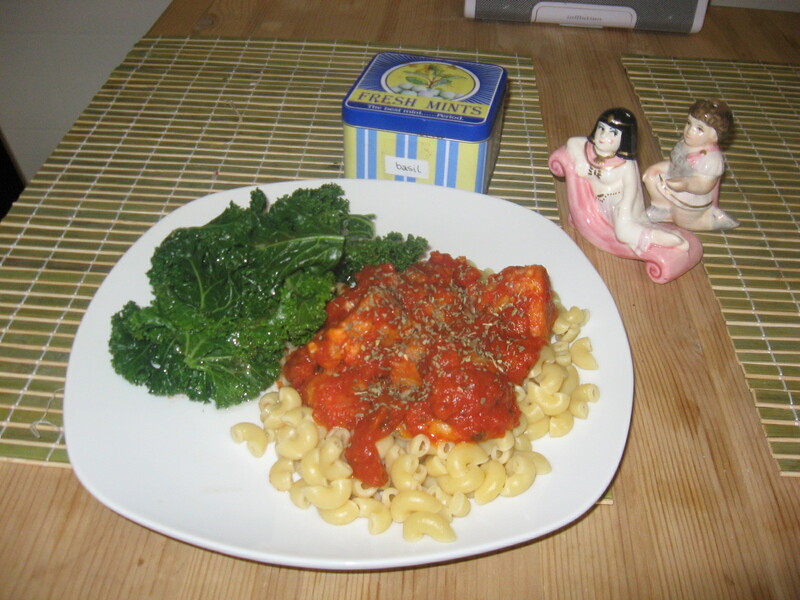 Even without the correct pasta noodles, and with crappy Classico tomato sauce, this recipe was a huge success. Note Cleopatra and Mark Antony looking on with approval (alright, so Mark is a little pre-occupied trying to win Cleopatra’s heart…but he’d be approvin’ of the tofu balls if he wasn’t so distracted). In a big bowl, stir together all ingredients except the last two. Put the 1/4 cup coating flour on a small plate and roll 1/2 tbsp tofu mixture into a ball and coat (or whatever amount you want…all depends on how big you want you…wait a second. There’s no way that’s going to come across right. Ick). Anyways, in a frying pan on medium heat, fry tofu balls in oil until browned all over. Cover and set aside while your cooking up your pasta etc. The tofu balls will be enough to serve two people. In other news, I’ve changed my blog (duh). What do you think? I’m on the fence. I like black. A lot. But lately I’ve been thinking I should try and lighten up a bit already. I purchased a mustard yellow bag the other day – a bold move for Healthy Ezmy.